Many style modes truly originated in France in the early 1700s. But the colonists believed that England was the source for all the latest trends and fashions of the time. When the new nation was born Revolutionary leaders believed fashion was a threat to the Republic and therefore promoted an anti-fashion stance. The “anti-fashion” beliefs became its own type of American style. Americans believed England and the rest of Europe had the most fashionable goods and clothing, but European fashions became more understated the last two decades of the 1700s. Before 1780 marriages could only be performed by ministers of the Church of England. After 1780, dissenting ministers could also preform marriage ceremonies but were required to sign a certificate to be given to the county clerk. This included Quakers and Mennonites. Laws about these certificates were rarely enforced, resulting in many late, incorrect, incomplete or nonexistent certificates. “Republican motherhood”: Women were treated as second-class citizens for decades, but their roles became to be viewed as more important during the American Revolution and the beginnings of The Articles of Confederation. A Republican Mother was one who encouraged her sons and husbands to be soldiers, boycotted particular goods, and caused disturbances in the streets whenever it would be correct to do so. Women started to demand the natural right of equality after the revolutionary war. Men were now interested a new equal society, and women believed they should be apart of this. Even though women were seen as assertive in opening businesses, they were denied political and legal rights. This caused a change in women’s attitudes. Divorce was not legal in Virginia during the 1780s. It was legalized in 1803. Mainly society still defined women as wives and homemakers at this time. 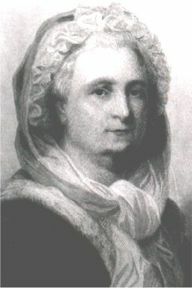 Martha Washington was married to our first president, George Washington. She was born in New Kent County, Virginia on June 2nd 1731. She was married once before Washington but was widowed and left with a considerably large fortune and four children. She married George Washington in 1759. She was unable to attend the April 30, 1789 inaugural ceremony for George’s presidency, but was honored as “Lady Washington;” becoming a public figure. There is very little known about women in the 1780s Virginia. Only a few written primary sources of women exist, providing only a tiny glimpse into what life was like for them, the mothers of the United States of America. Sage, Henry. “America under the Articles of Confederation.” Academic American History. Finkelman, Paul. Encyclopedia of the new American nation: the emergence of the United States, 1754-1829. Detroit: Charles Scribner’s Sons :, 2006.